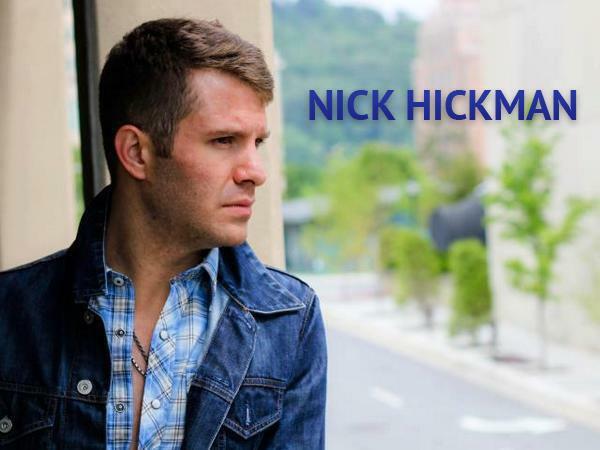 Join us this week as we welcome country music singer songwriter, Nick Hickman. Hailing from Knoxville, TN., Nick moved to Nashville, TN. a year ago to this day to pursue his dream of becoming a country artist. Since arriving in Nashville, Hickman has been hard at work writing and preparing for the year to come. "I have written more this year than I have in my entire life, and it feels great." says Hickman. Nick is currently in the studio working on his brand new EP with his producer Sean Giovanni (Big & Rick, Tyler Farr, etc.) The first single from the forth coming EP “Summertime Southern Style” is digitally available now. We will talk to Nick about his upcoming schedule, get a behind the scenes look at his music, feature his latest songs, and ask him to share his message for the troops. Please be sure to visit Nick Hickman at http://www.thenickhickman.com/ and spread the word. Fans are welcome to call in and speak live with Nick during the show (718) 766-4193. If you would like to participate in the live chat during the show, you must sign up on the show site first and then log in during the show. As always we will give shout outs to our deployed military listeners. Be sure to join us, Sunday 12/6/2015 at 4 PM EST! Our message to the troops: WE do what we do, because YOU do what you do.